Consider the age-old question: Do you need a drill, or do you really need a ¼ inch hole? You really need the hole, but the drill appears to be the solution. Here’s a better way to get the clarity you need, the details around what you’re buying and the flexibility to respond to what’s working and why. Think back to when you selected your last agency. How long was the sales process? How many questions and how many sessions did it take for the agency to get solid recommendations in front of you? This isn’t a race. You want them to get to know you and you want them to take the time to think through their recommendations. You don’t want a package or a templated set of recommendations. You want customized and personalized plans based on your goals and your specific challenges. Would a lawyer, a doctor or a highly regarded accountant recommend a package? Would you laugh at them if they did? Would you look for another lawyer, doctor or accountant if they did? Just think about it for a minute. You meet with your doctor, and in 30 minutes the doctor tells you, “You’re perfect for the Get Better Soon plan. It might take a little longer, and we’re not completely sure it will work, but it fits your budget.” Seriously! That’s what you’re doing when you buy a package from an agency. Your business deserves the same. Agencies that don’t provide an opportunity to get to thoroughly know you, your business and your challenges should be eliminated. Agencies that don’t ask you a ton of questions about your current marketing, sales and customer service execution and your current business should be eliminated. Agencies that don’t ask to review your current performance data should also be eliminated early from your process. Just like with a doctor who didn’t run blood tests but still offered you a diagnosis, you would be rightly skeptical. Statements of work do satisfy one element that is important to people who need help with their marketing: It’s very clear what you’re going to be getting. But this clarity is usually very short term. Marketing is not usually short term in nature. Marketing that produces results is a marathon, not a sprint, and it usually includes a collection of tactics across a variety of channels. Therefore, a project-by-project approach rarely produces the desired results. Even if you get what you contracted for, it’s not going to be enough to produce real results. Instead, consider a more comprehensive strategy with a longer-term time horizon that is made up of individual projects. There is nothing wrong with breaking down a big plan into a series of manageable projects. The big difference is everyone can see the end game and how the individual projects contribute to the big goals. 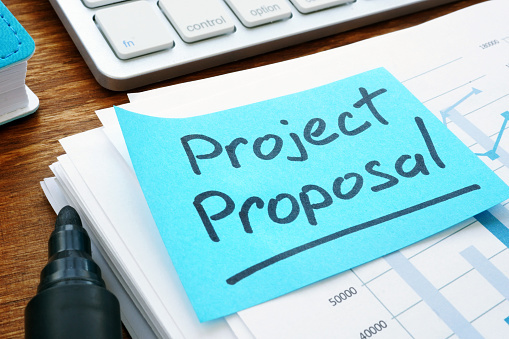 Again, this is going to require a savvier agency partner that can think long term, plan long term and connect the dots of their individual projects. More importantly, agencies that have a strategy methodology are in a better place to think creatively around execution and connect execution to measurable results as opposed to simply delivering and hoping it works. Agencies that jump to proposals or recommendations are not capable of digging into your real challenges. Agencies that don’t show you the expected results are not going to be able to work with you to deliver results. Agencies that can’t stand behind their work and guarantee it are not sure enough about their abilities to take a position like this. There has always been and will always be a direct connection between your business goals like revenue and your investment in marketing and sales execution. The bigger your growth goals, the bigger your investment should be. Let’s stick with the doctor/patient analogy. When your doctor informs you that your blood pressure is high at 150 over 100, and that it should be 120 over 80, you have a goal and a starting point. You know exactly where you need to be. The doctor also has a treatment plan to get you there, and it includes medication, diet and exercise. You have a plan. When you want to go from 10 leads a month to 100 leads a month, it’s a very similar analogy. You know exactly where you need to be and exactly where you are today. You have a goal and a starting point. The agency has to be able to put your “treatment plan” in place and then help you execute that plan, monitoring, measuring and adjusting it over time based on data. You always know where you’re going, where you are and what you need to do to get to your goals. This is the type of agency you want, and this agency sounds and acts much differently than the agency that puts together an SOW for you to sign. While doctors can’t guarantee anything, agencies can. Agencies that can’t show you expected results and agencies that won’t guarantee delivering agreed-on and reasonable results should be eliminated early in your search process. It’s much harder to select an agency today than ever before. Most agencies look great on the web. Most agencies have great reviews. Most agencies have referenceable clients. Most agencies have great design work to show you. What you were looking for a few years ago is not what you should be looking for today. You want to know who you’ll be working with, and not just your day-to-day contact. Who is helping them? Who will be your writer? Who will be your designer? Who will be your interactive contact for any website work? The full team is an important component of an agency’s ability to deliver. You want to know what the agency’s delivery methodology looks like. You don’t want random acts of marketing. Instead, you want a team that is following a designed process. One that starts with strategy and thinking. One that is designed around quick wins and optimizing your budget. One that is created to produce results. It’s hard to know exactly what you’re getting into with agencies today. We get a steady stream of prospects who did not pick us but come back to us six to nine months later with a set of stories that don’t help any of us in the agency industry. They never got results, they never saw any traction, they worked with a junior-level team, they were told if they wanted results they needed to step up to a more expensive package, their experience was not positive, and the list goes on and on. It doesn’t have to be like this. You can run a better search process, you can look for different agency characteristics and you can ask agencies tough questions during the get-to-know-you process. But most importantly, you can start thinking about your relationship with agencies differently. Think less about the delivery and more about the results. That is what you want, right? Start Today Tip – If you want results, you should make the conversation about results. If you want four blogs and a whitepaper, you can ask for an SOW for those five things. The agencies that deliver stuff might be great at getting you stuff, but it’s not likely they’re going to be great at getting you results. Agencies that get results work differently, sound differently, are structured differently and offer you different opportunities. Knowing what you want is the first step. Then how you pick your agency has to be different if you’re looking for results. Change the conversation with your agency and you’ll probably change the types of agencies you’re talking to. Once you change that, you’ll also change the results you get from them.